Today we go into a restaurant, like Sancho’s Authentic Mexican restaurant and we order tamales not knowing that they have a much more interesting history than one would initially imagine. Though no one knows who originally made the tamale we do know that they have been around since sometime between 8000 and 5000 B.C. They began because the armies back then needed a more portable food. The women would travel with the armies back then to make food and they are the ones who came up with the original recipes way back then. The tamale caught on quickly and spread like a wild fire all over Mesoamerica. Mesoamerica was an area that went from mid Mexico to Belize and the Mayan people were the major inhabitants of this land. What is in a Tamale? plain tamales, tamales with red, green, yellow and black chile, tamales with chocolate, fish tamales, frog, tadpole, mushroom, rabbit, gopher, turkey, bee, egg, squash blossom, honey, ox, seed and nut tamales. There were white and red fruit tamales, white tamales, yellow tamales, dried meat tamales, roasted meat, stewed meat, bean and rice tamales. There were sweet sugar, pineapple, raisin, cinnamon, berry, banana and pumpkin tamales. There were hard and soft cheese tamales, roasted quail tamales, ant, potato, goat, wild boar, lamb and tomato tamales. The tamales that the Aztecs ate were originally eaten with these fillings: turkey, flamingo, frog, axolotl (a strange Salamander), pocket gopher, rabbit, turkey eggs, honey, fruits, maize flour, squash and beans, as well as with no filling. While tamales used to be a common staple for the Aztec and Mayan people they are challenging to make. These days tamales are typically served around the dinner table on special occasions such as holidays. The tamale has even made the news a few times. Gerald Ford was known for taking a bite out of a tamale with the corn husk still on it while he was visiting San Antonio, Texas. 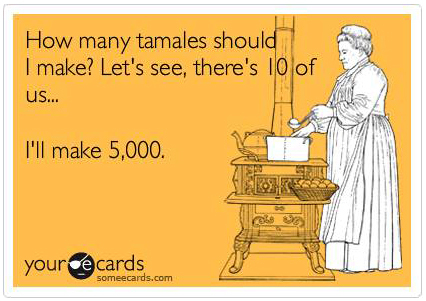 If you have ever tried to eat a tamale without taking the husk off then you know all too well what a bad idea that is! He s lucky that it was a corn husk because tamales can be made in a variety of material including tree bark! The word tamal simply means wrapped food and the word tamale is actually of American origin. As American ‘s we thought the word tamale was the singular form of tamales and it just stuck with the food ever since. The tamale gained it’s footing in the United States when Mexican field workers shared their food with the African American slaves and taught them how to cook them. There are events based around tamales too. Like the international tamale festival where there is live entertainment, various tamales to eat and even a carnival all in honor of this delicious food! The tamale has been such a staple of Mexican foods that even Porky Pig was animated selling them as early as 1940! As you can see the tamale has a rich and diverse history. Starting on the battle field and ending on tables all over the world the tamale truly is an amazing food. If the original inventor only knew what their creation would become she would probably be very proud. So whoever she was the world thanks her for her innovation ad her amazing palate! In this article we have been through some of the rich history of the tamale and in honor of the traditions and the tamale itself, we at Sancho’s are proud to carry on the traditions of making authentic tamales in our kitchen in Boulder, Colorado. 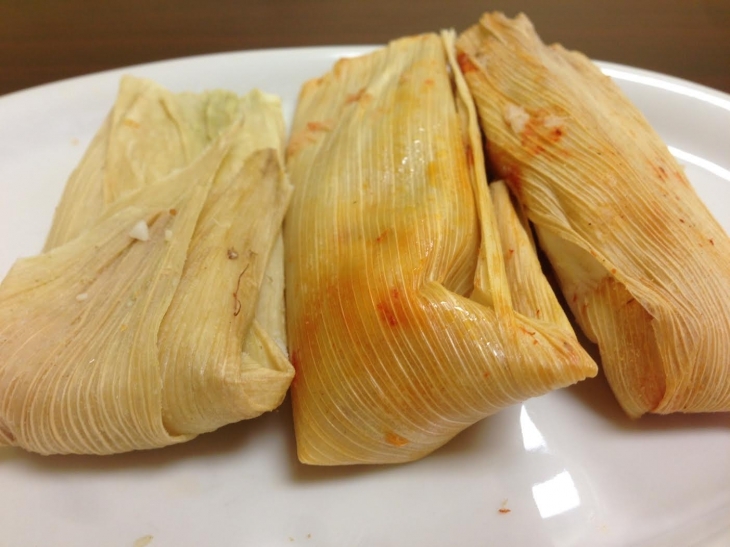 We offer three delicious tamales that you and your family will love. We have the Puerco con Chile Rojo which is a savory pork with a red chili sauce, Pollo con Chile Verde which is chicken and green chili sauce and last but not least our Rajas con Queso will delight your mouth with the taste of sliced Poblano peppers and cheese! 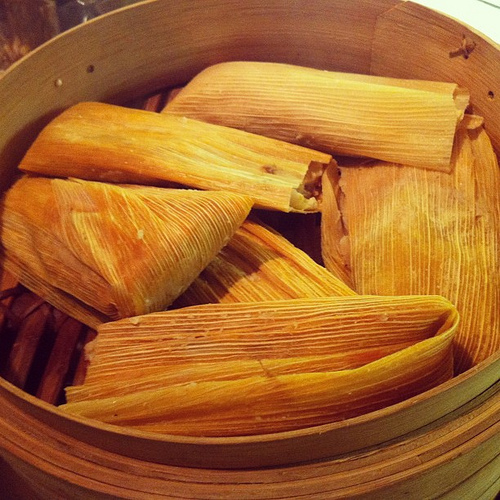 These tamales are available individually or by the dozen, so come on into Sancho’s and get them while they’re hot!